I was delighted to take part in the Conservative Party’s social action project, Project Umubano in its 10th anniversary year in Rwanda. The project is making a difference to the everyday lives of the people of Africa. My brief was to teach secondary school mentors English and about their new school curriculum. Teaching teachers was a new challenge for me as my expertise is in school governance and not teaching. I campaigned for increased primary school provision in my local area and was part of the team that created a brand new free school in 2016, Ashmole Primary School. Ashmole Academy Trust, where I am Chairman, very kindly donated nearly ½ a ton of secondary school books to the project which were gratefully received. 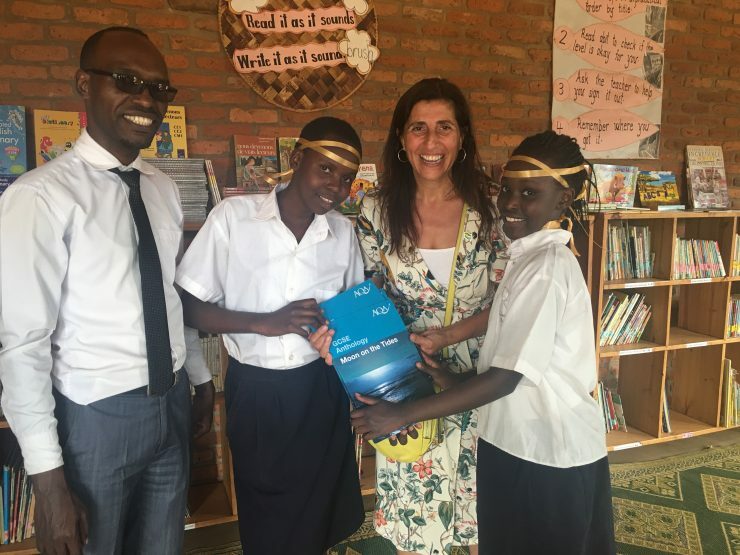 St Paul’s Church of England School, mums and friends also made very generous donations of books and other resources to Project Umubano. In total I shipped 27 boxes weighing 413 Kg, the equivalent weight of 6 people or 2 gorillas, to Rwanda. I am grateful to those who donated and for encouraging their children to part with their possessions. My son Harry refused to part with his Spiderman mask so I had to sort out all my donations whilst the children were at school! I spent a considerable time collecting donations and boxing them up so that 27 boxes were loaded and delivered to Parliament. I had some help from my husband for the physical work of lifting and shifting as I just wasn’t up to gorilla carrying! Umubano Primary School were delighted with the donations. My area of activity was education and for four days I taught, along with my classroom buddy Ewan, secondary school mentors English and about their new school curriculum. In every class of students there are memorable characters and Ewan’s and my class had its share. There was Bango the class joker, Isabel the chatterbox and Jean Claude who was so serious. There were many memorable moments such as when my class argued with me about how you pronounce “play”. I was definitely right! Ewan, who has a Geography degree, drew a map of Rwanda to help in an exercise which also drew lots of criticism from the class, until he proved he was right using his phone and the internet. I did laugh. I also cried. What took us to Rwanda was the terrible genocide of 1994 and there were many incredibly moving moments. The week concluded at the Genocide Memorial Centre where Susan, a survivor from the Holocaust, and Edisa, a survivor from the Rwandan genocide, told their stories.